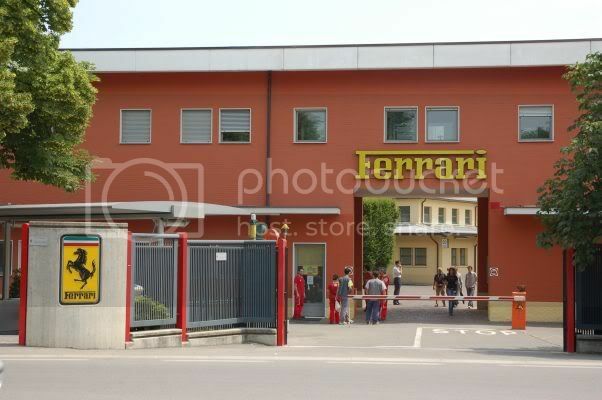 OK, so following a chat in the Ferrari Dreams thread I thought I would set this thread up for anyone with experieces of visiting Maranello to post and for those wishing to visit to perhaps post questions. 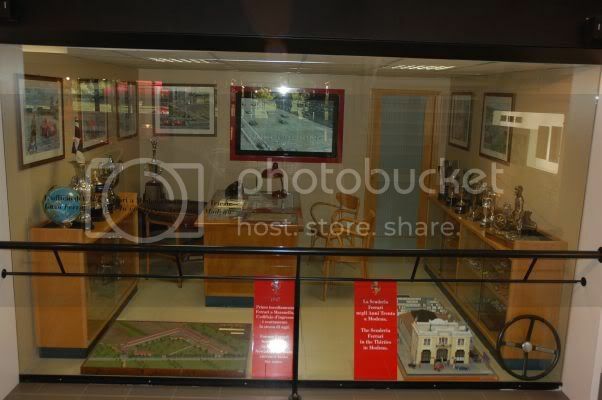 I have been a number of times with my first visit being in 1995 and my most recent a couple of years ago. First the map I made. I believe this has been put elsewhere in the forum but I figured it made sense to have it here as well. Below is text explaining what you should find at the letters on the map. The letters on the map correspond to the following. 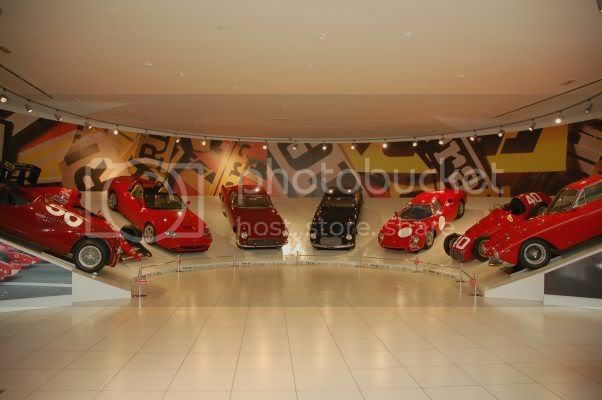 a. Galleria Ferrari. There is quite a bit of parking outside the Galleria but if not you can pull up on the road in various places along the road Via D Ferrari that the Galleria is on. 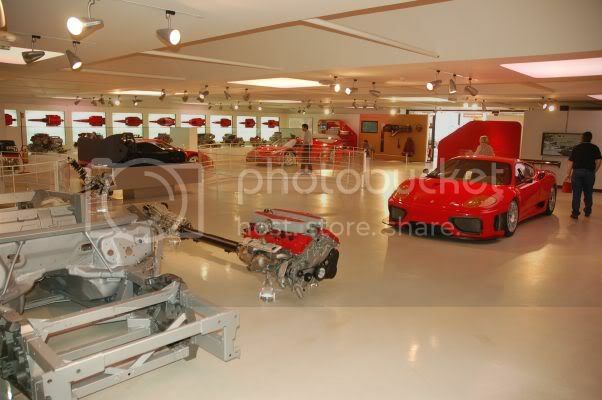 It’s not a huge museum but you do get up close to a good number of Ferrari road and racecars from various decades. Plus you can see engines, sometimes prototypes etc. They change the display from time to time so you never know what you will see exactly. There is also a café inside. It’s open at 9.30 until 6 although I think that’s extended to 7 in the summer months. b. 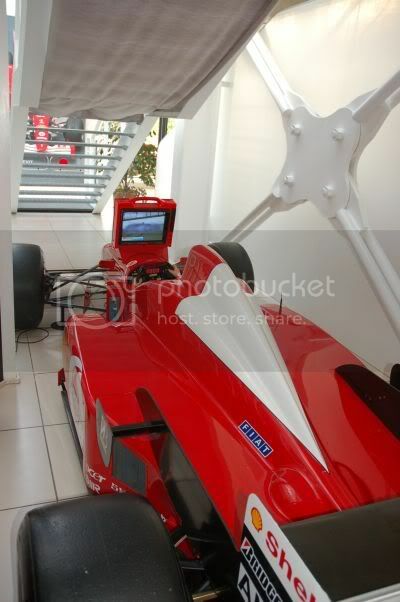 Formula 1 factory. 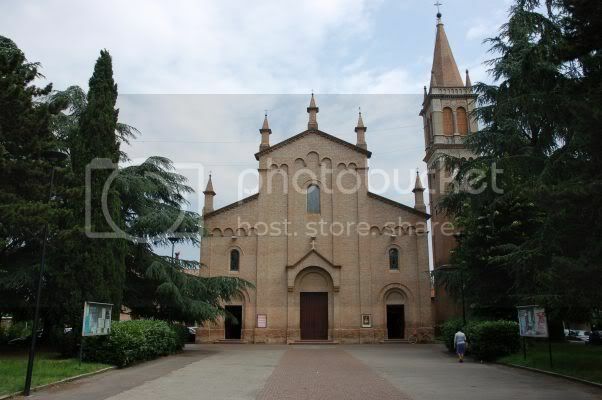 Again it’s not a massive impressive building but it’s worth a look. Often on the right as you get to the factory entrance you will see the Ferrari transporters that are used to take the cars and equipment to the races in Europe. They are very impressive and you can just about see through and over the fences. No one seems to mind anyone taking a look or taking pictures. 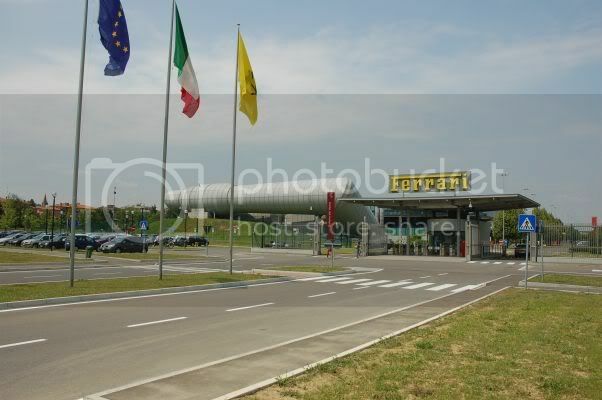 c. Main gates for the Fiorano test track. You can’t really see any of the track from here buts its worth hanging around for a while as new cars and prototypes are driven round to hear, often on the back of a truck so they can be tested on the track. Not F1 cars though. 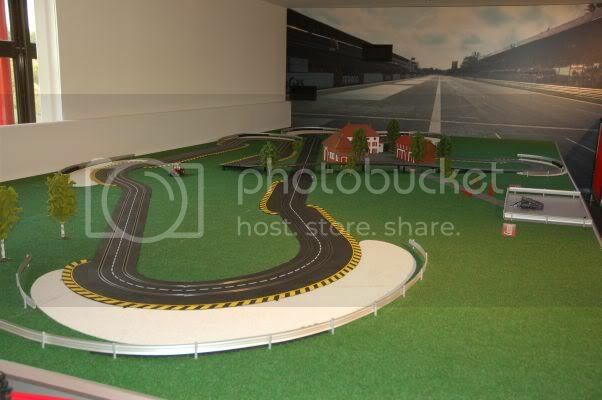 These are built in a different factory and have direct access to the track. See b on the map. e. Cavallino Restaurant. The famous place that anyone that is in anyway connected to Ferrari has eaten in (plus myself!). Not cheap but its great if you get a chance. 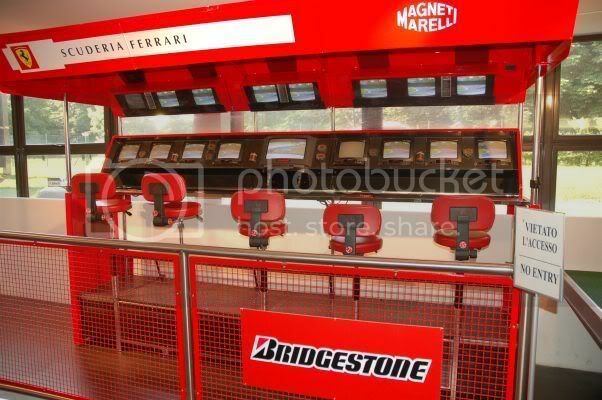 All the plates, glasses etc have the Ferrari logo’s on and the memorabilia on the wall is an incredible collection. f. Modern road car factory. This is the massive and impressive buildings that road cars are built in. It’s not that old. Another good place to hand around and spot cars going out for test drives, especially ones covered is disguise. Get the camera ready! Also, just to the left of the entrance is the wind tunnel. This is massive. You simply cannot miss it. It’s well worth a look. You can’t get that close but it’s a very impressive building. 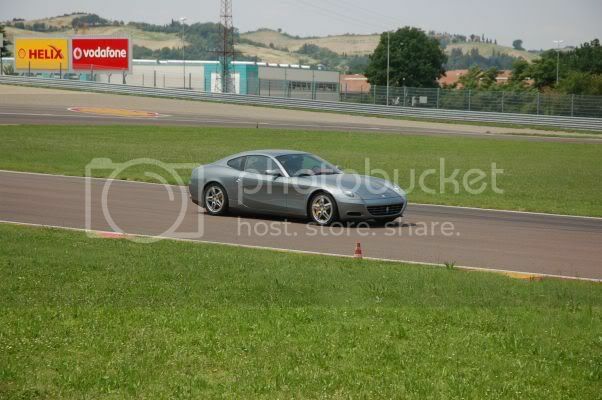 g. This is a good spot to watch cars going round the Fiorano test track. You can stand and watch through a mesh fence but there are normally barrels or rubbish bins left around which you can use for getting up higher and looking over the top. You only see a small section of the track but is a good place as the cars approach at speed and have to brake very hard, they then go round a fairly tight left hander and the accelerate hard out of the corner often getting the back end out if they are road cars. 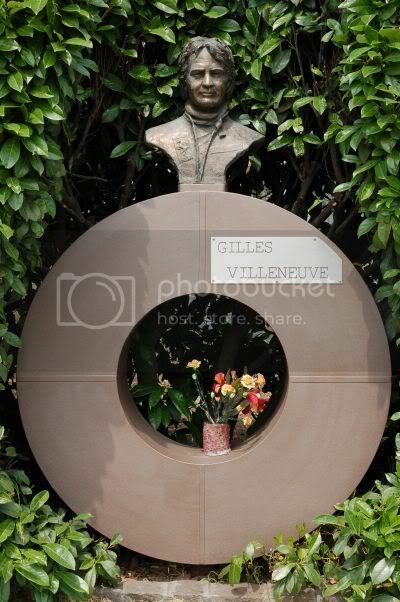 h. This is the small monument to Gilles Villenerve. 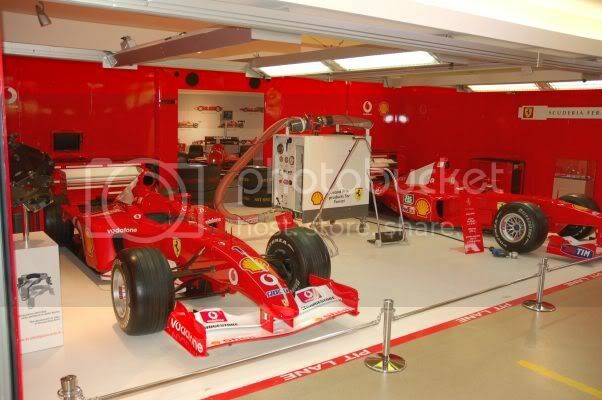 Its not very impressive buts it’s significant for all Tifosi for obvious reasons. 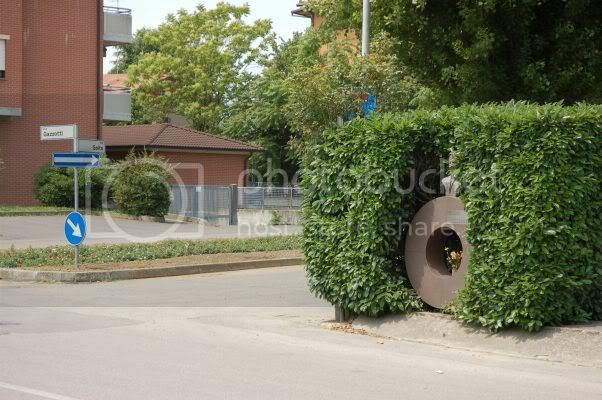 It’s actually placed in a hedge which is carefully cut around it. However this means a lot of people miss it. i. Red Café. 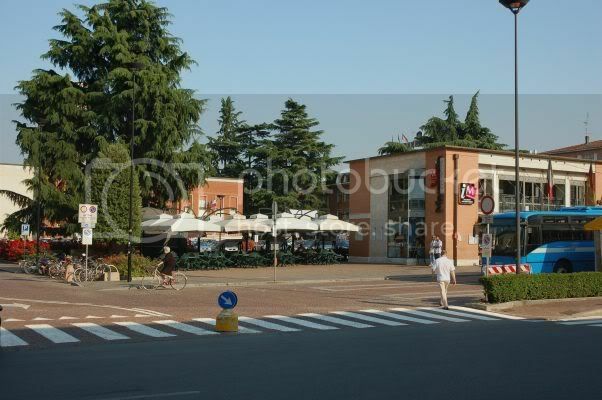 A great place to eat either indoors or outdoors in the Piazza. j. 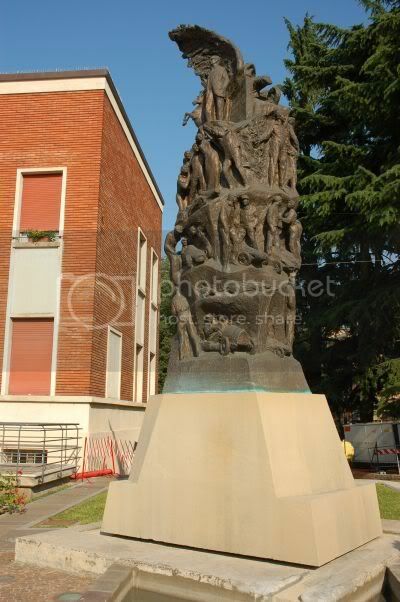 Across the Piazza just near the entrance to the Hotel Domus is the Enzo Ferrari Statue. A rather impressive thing, if a little odd! 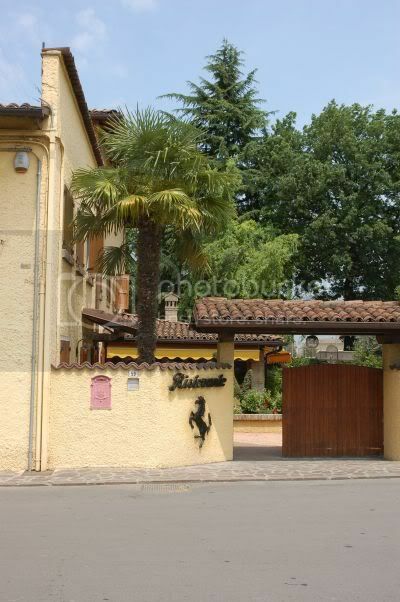 k. This in a place on the main road in to Maranello from Modena. 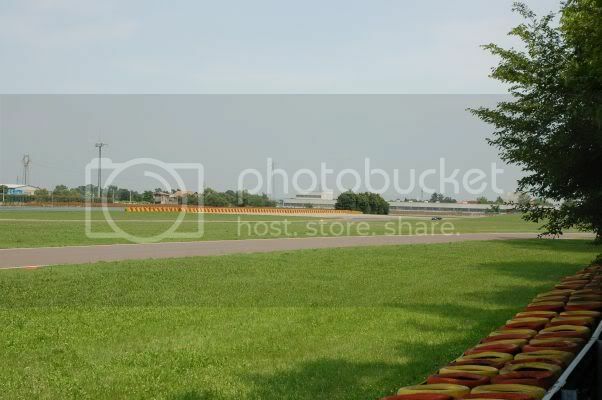 There is a flyover which runs along the northern edge of the Fiorano Test track. From this bit or road you can get a view of the circuit and with binoculars you can see the garage where they were on the cars whilst testing. Entrance to the Galleria. Lots of parking outside. A few shots inside the Galleria. A recreation of the pits. 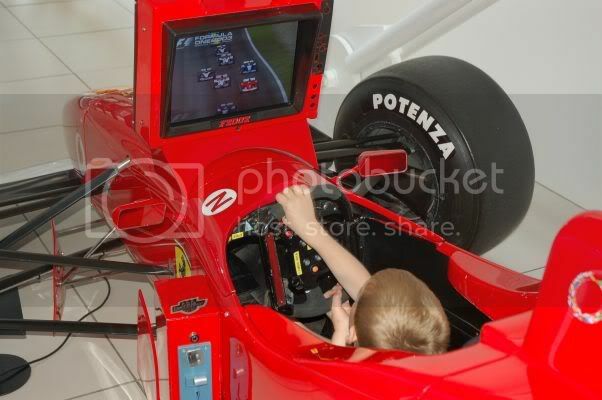 My eldest having a go in the F310. Recreation of Enzo's office just before he passed away. Letter b on the map. 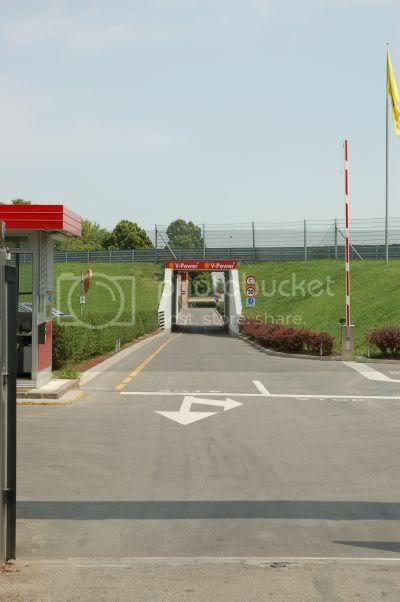 Entrance to Scuderia Ferrari factory. Letter c on the map. 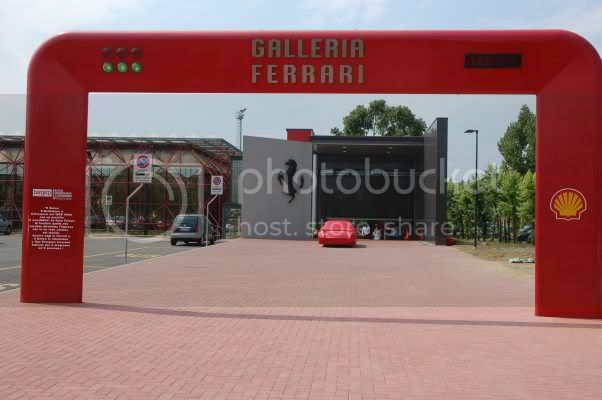 Entrance to Fiorano. 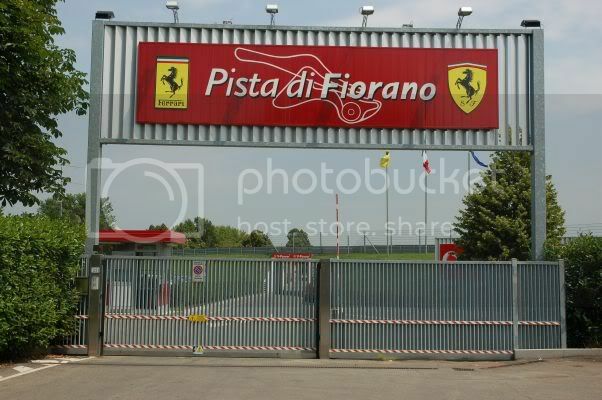 Shot taken over the gate at the entrance to Fiorano. Letter d on the map. 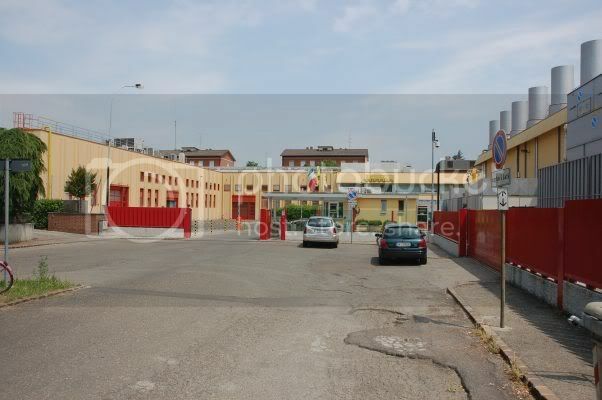 Original factory entrance. Letter e on the map. Calavino Restaurant. Letter f on the map. Modern road car factory and wind tunnel. Just up the road from f in middle of roundabout!!! Letter g on the map. Viewing spot for Fiorano. Letter h on the map. 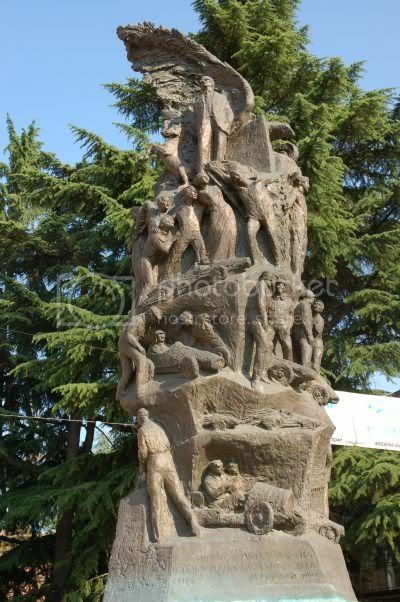 Statue of GV. Letter i on the map. Red Cafe and central Piazza. Letter j on the map. 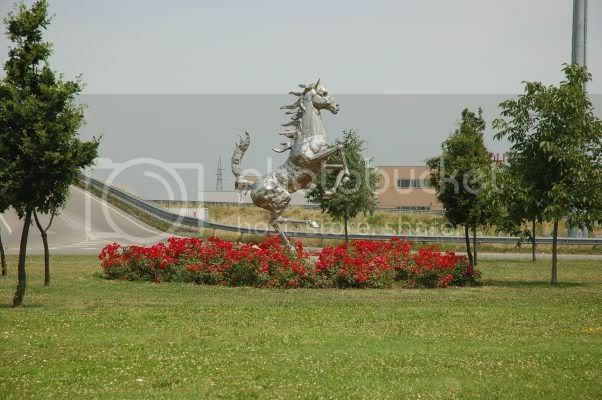 Enzo Ferrari Statue. You can just make out Enzo at the top in this one. Sorry but I do not have any pics from letter k on the map!!! 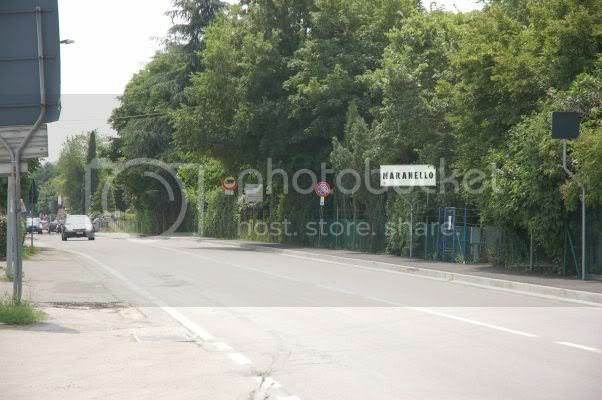 Finally, a few pics from round and about Maranello. 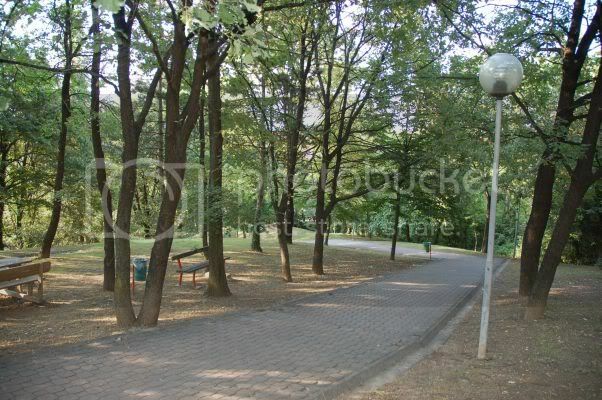 There are some nice parks which we spent time in. 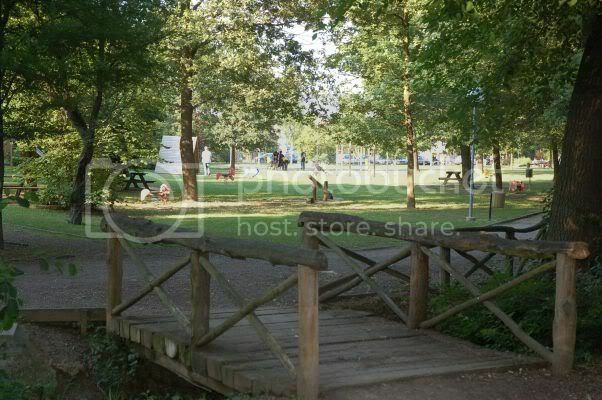 Good for children to play and relaxing in general.